How many times have we heard that the station terminus was only being moved 460 feet to the south? How many times has it been suggested that this distance is trivial–not much more than a walk from the Library to Small World? How many times have Dinky supporters pointed out that the proposed location of the new terminus is downhill on a steep gradient and that the 460 number is misleading? Now, we have a graphic illustration of just how misleading the number is. 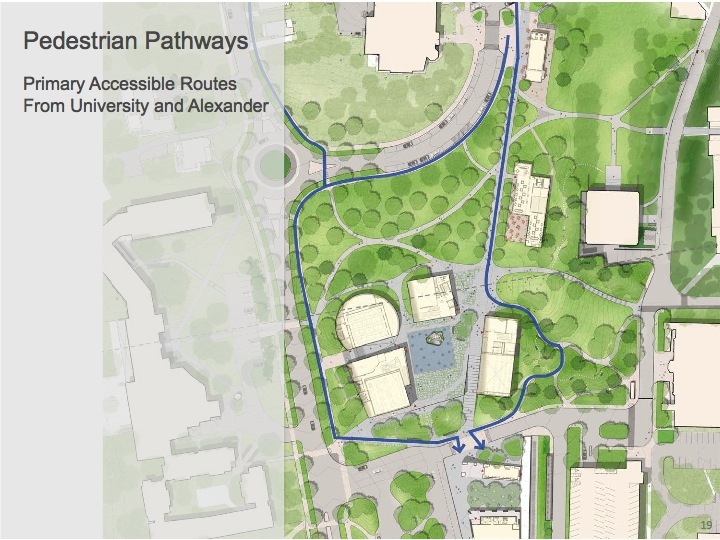 The University’s site plan includes a slide showing the two proposed walkways for pedestrians, both significantly longer than 460 feet. For those who drive to the Dinky or are dropped off, the picture is no better. Auto commuters from town will have to navigate a new traffic circle at Alexander and University and then make a left turn into the plaza. 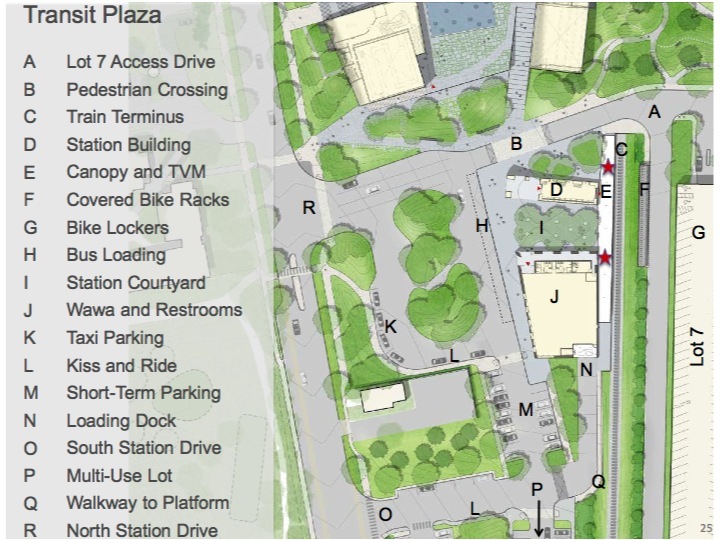 The proposed “kiss and ride” drop off areas are not adjacent to the platform.